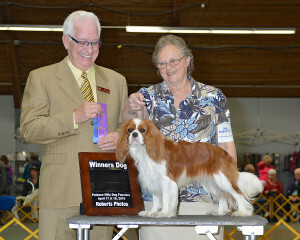 CONFORMATION SHOW HANDLING CLASSES: Sundays 1:30 PM at Double – C Dog Training, 4141 Washburn Way. Everyone is welcome to come! 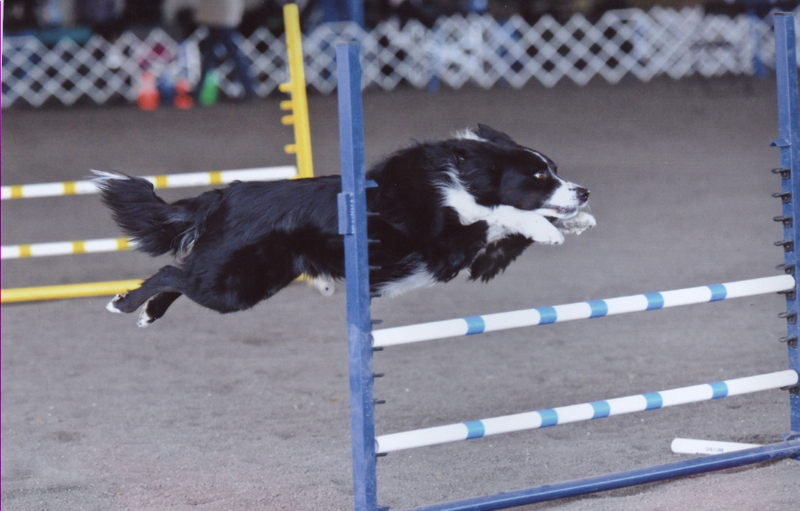 Since 1949, Klamath Dog Fanciers, Inc. has been dedicated to the betterment of the AKC purebred dog through education and annual conformation and obedience trials. Founded in 1949, a small group of local dog owners were determined to raise money to hold an AKC dog show. Creative fund raising activities filled those early years. In 1951, the AKC gave them permission to hold their first annual AKC All-Breed Dog Show in Klamath Falls. There were 315 entries. In 1975, club members organized the first AKC sanctioned “A” Dog Obedience Match in Klamath Falls, Upon successful completion of the match, AKC allowed the club to hold Obedience Trials with the All-Breed Show. During the ’80’s, AKC approved Clusters of Dog Shows, hosted by different clubs, in one location. The Klamath show became part of the Labor Day Cluster that rotated annually between various cities. The Cluster Show came here only every few years. Club members wanted a local show. This became a mission during the ’90’s. Participation in the Cluster was discontinued and the annual show moved back to the Klamath County Fairgrounds. Later, the club made application to AKC to have “back-to-back” Saturday and Sunday Obedience and All-Breed conformation shows. They were successful and these shows brought many dog show exhibitors and gave the community two great dog shows each May. 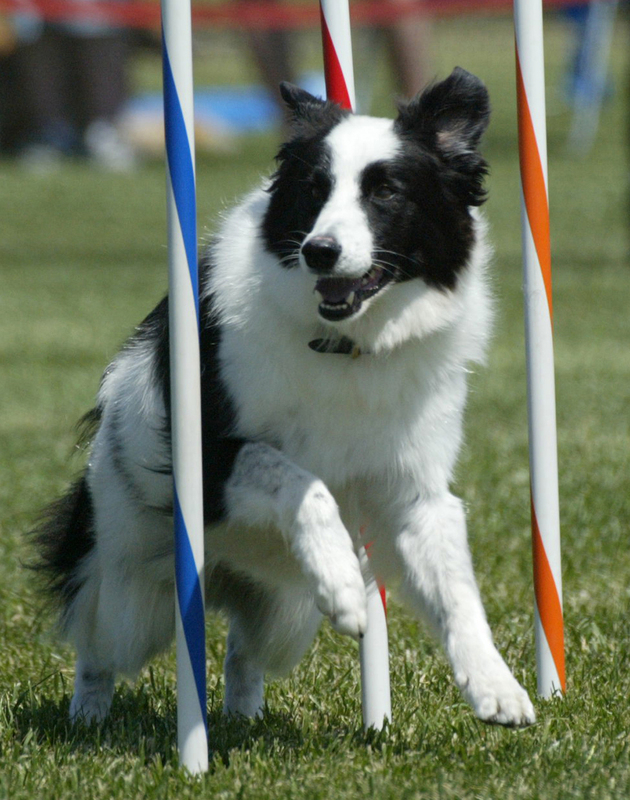 In 2008, Klamath Dog Fanciers got approval from AKC to hold Agility Trials. Agility Trials are now held in both May and October each year. The group holds monthly meetings and participates in public education projects, including Responsible Dog Ownership (RDO) Days. They take their dogs to schools and to stores. They practice showmanship skills at Fun Matches. They make regular donations to community projects including the Klamath Animal Shelter. They donate literature and books to the County Library. The club supports the Responsible Dog Breeders Association of Oregon when necessary to fight proposed legislation limiting dog ownership and breeding. They have also started a 4-H Scholarship Fund, supporting students who have been involved in the 4-H Dog Program. Two lifetime club members, Barbara Gomez and Sue Cogley, have gone on to become certified AKC conformation judges. Today, membership has grown to over 80. 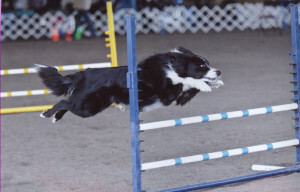 Entries in the shows are usually around 1000, and agility entries are nearly 400 runs per day. We are very proud of how our annual dog shows contribute to the quality of life and the economy of our community! MEETINGS ARE HELD ON THE 3RD TUESDAY OF EACH MONTH. PLEASE JOIN US AT DOUBLE – C, WORLD CLASS PET RESORT & TRAINING CENTER AT 7:15 PM. MEETINGS ARE OPEN TO THE GENERAL PUBLIC.